In 2009 I've made a two-part installation for the "My little village" public art contest. 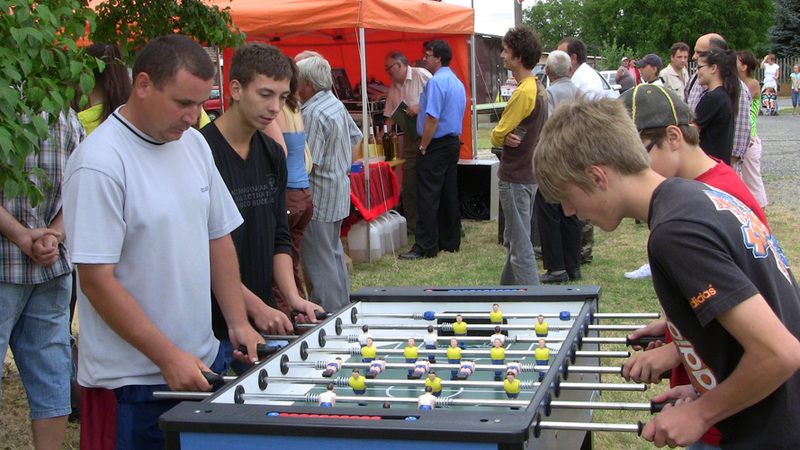 I've made two table soccer tables for the public art contest "My Little Village 2009". One of them is in the Cultural Center of Karakó in Vas County, and the other is in the Cultural Center of Nemeskeresztúr, also in Vas County. The two villages have about the same number of inhabitants. 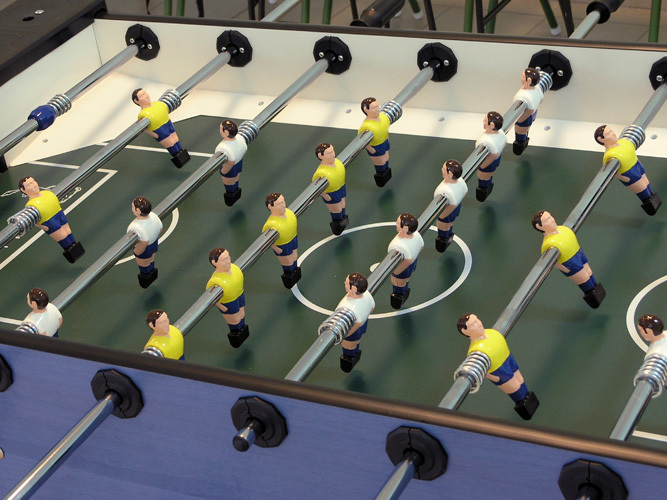 I've painted the soccer table's tiny players according to the colors of the villages' real football players' shirts. Anyone can participate in the game, symbolically wearing for the time being of the match the shirt of one or the other team. 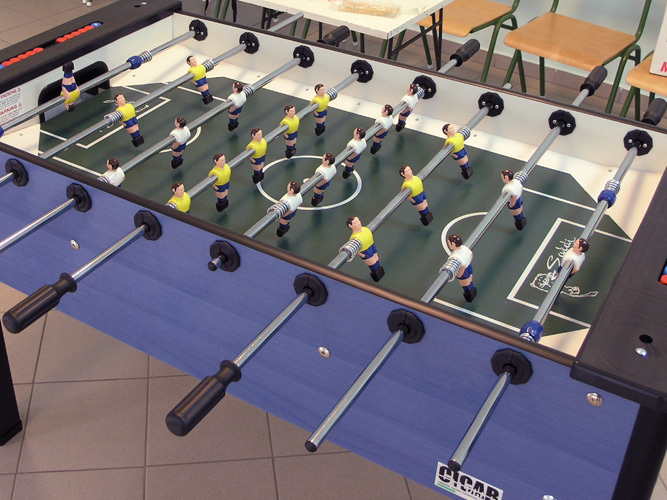 The users of the installation, that is the table soccer, can take part in the game, choosing a team for one match and next time maybe playing the opposite team. If only a single village's inhabitants are present, someone has to be the opponent. 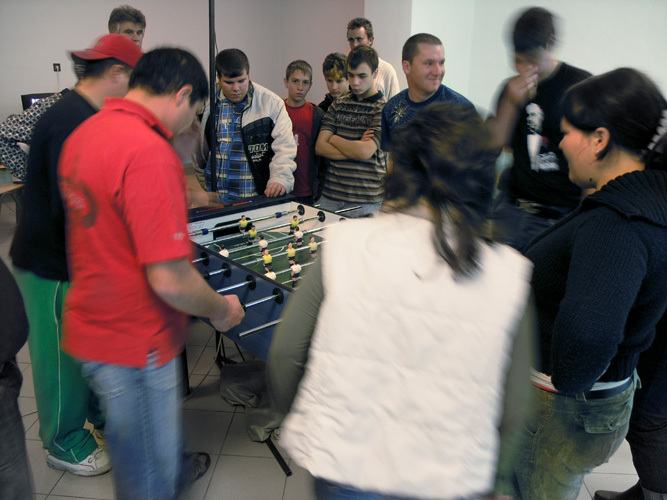 The opening ceremonies were held at the same time in the two villages, as a mini table soccer tournament. Both villages were using their own soccer tables. 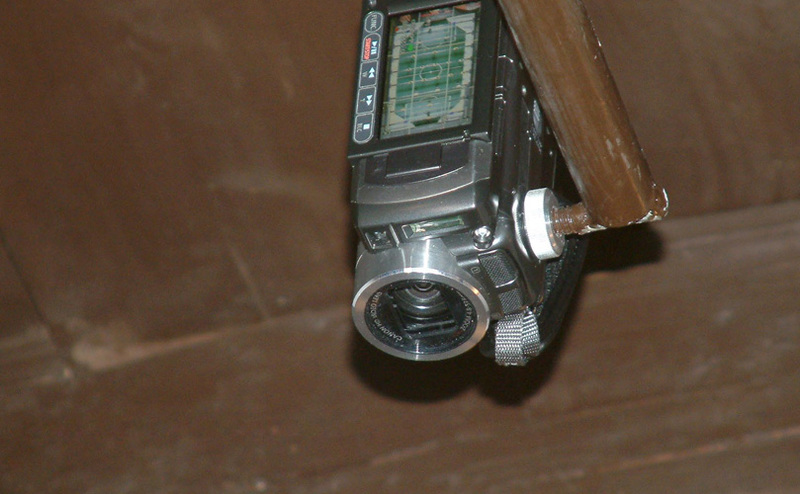 I've recorded the two events fixing a camera above the tables - just like a real broadcast. With the two footage placed next to each other, the two events held in different places can be watched at the same. The video can be watched: link to youtube.